This article answers many questions regarding the investments we advise on. How much capital is needed for offshore investment? Offshore investment allows one to spread risk in a different economy. Previously; a minimum of $100,000 was required so as to get privatised banking services. Factors such as exchange rates or global economic conditions ensure this type of investment has high yield returns. Thanks to the internet increasing competition amongst financial services providers; these days, as little as $1000 is enough to start you off, it has however been noted that investments lower than $25000 are not worthwhile, this is mostly due to high administrative cost demands. Are investments over regulated compared to other types of purchases? Yes, they are, the investor needs to be protected from unscrupulous deals or money laundering. As an investor; you have little control on what percentage of your money will be allocated offshore as an investment manager does this on your behalf. This is why unit trusts and mutual funds are the most regulated in the market. This special protection ensures that loss is mostly prevented. Your investment manager has to be held accountable for how funds are being spread in different sectors to reduce risk. Money laundering: what is it? This is the process of transforming proceeds of illegal money making ventures like crime or corruption into clean money. Dirty money is made clean and reported to the relevant authorities as revenue gained legally. If drug money or bribes are transferred from a known bank to a Swiss account and then used to invest in the shares of a Fortune 500 company; then that is laundering. This is the reason why all financial institutions are required to ask for the source of all large deposits. The depositor has to be accountable for where the money came from. What are the investment/banking options available to expatriates? This mostly depends on the tax regime or policies of your host country. In general however, expatriates have a plethora of advantages when it comes to investments. As non residents, expats can choose the most tax efficient offshore financial services on offer. This however does not prevent their home countries from demanding that all investments be held in the recommended accounts for taxation purposes. Expats should consult with an international tax expert so as to get the benefits that accrue from non-resident tax breaks. This advice also prevents possible criminal and civil charges on the expat by his/her home country for hiding money in offshore accounts. What if I don’t want to invest? I just want to find the right structure and model to keep my money safe. If you have a high liquid net worth that needs protection during expatriation; offshore trusts are the best option. Their main advantage is separation of beneficial ownership and legal ownership. All assets are kept out of reach of any judgments or creditors even when bankruptcy hits. In the US for example, offshore trusts are tax neutral and they charge no inheritance tax. If you put your money in an offshore account in the Cook Islands, you can place yourself as the sole beneficiary and provide trustee services to your asset. Can I use the internet to manage my investment/savings portfolio? I move around often and need to know that my money is safe. Yes you can, the world is truly a global village. Most if not all of financial institutions offer online banking protected by high level encryption that guarantee that investments can be managed from anywhere. Most investment managers and brokers allow account owners to control their accounts from anywhere. An annual or bi-annual financial report is also prepared. You can track your portfolio and even make transfers from anytime or after a period set by the manager. What Questions Should You Ask Yourself Before Investing? The Times Newspaper offers some insight. If your financial advisor or manager cannot answer this question, please walk away. Always know where your money is being invested in. This not only prevents shady dealings or fraud but also helps investors track the respective markets and get an idea of where it is headed. Technically it is supposed to be, structured product providers promise their clients that they will enjoy gains if the stocks go up but if they go down then the investment remain safe. However; this is not always the case, when Lehman Brothers Investment Bank collapsed, investors did not get their money back. What is the risk level of my investment? Investors can be risk averse or risk lovers. Many high risk investments have high returns but also a bigger possibility of loss. As an investor; talk to your money manager so as to grasp all options and choose where you prefer your money being invested in. Major banks however have always been accused of doing as they wish with their clients money. Barclays had the Moley Global Balanced Income fund; a highly risky fun sold to cautious investors like the elderly instead of only marketing it to risk takers. The fund, managed by Aviva, later fell by up to 50%. Without proper regulation, such actions only come to light when losses are accrued, find a financial provider with an untainted past to handle your investments. Ensure you always get a breakdown of all charges like commissions and fees before investing your money in an offshore trust. This protects you as an investor from hidden charges or fraudulent transfers. Consider this; if you choose to invest in foreign currency, always know what the administrative charges will be. This prevents investors from expecting a certain amount only to find it halved after deductions are made. What if my financial provider goes bankrupt? Investors need to know what their rights are in case their financial provider goes rogue. Regulation in most countries guarantees only up to a certain amount. In the UK, there is a Financial Services Compensation Scheme (FSCS) that guarantees £50,000 per every savings account holder and £48,000 in investment products. Investment products are further divided into two groups: 100% guarantee for the first £30,000 and 90% for the remaining £20,000. Risk averse investors should thus limit the amount invested to the set guidelines and ensure that their financial provider is regulated by FCSC. What are the tax implications of investment products? 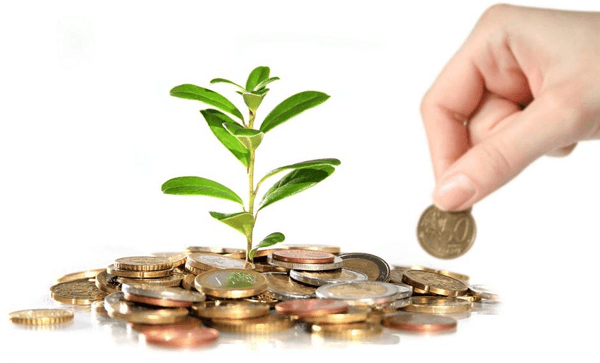 Gift bonds and investment bonds are charged a 5% tax-deferred withdrawals, this is done automatically even if the investor does not pay income tax. Investment products are often sold on the premise of favorable tax arrangements but you should know that even if you don’t fall within the inheritance tax thresh hold; the 5% tax will still be charged. Structured products, investment bonds, mutual funds and hedge funds all carry a pricey exit fee if cashed early. This is because withdrawing early disrupts plans by the financial provider as they have to pay with their money as they await maturity of the bond. As an investor, always know the time limit before you can access your money with all the benefits accrued. Most providers allow you to access the interest from your investment before getting the whole amount during maturity. In the previous year, insurers like Friends Provident and Scottish Equitable had to close their property funds because sudden mass withdrawals lead to a cash shortage. Who should advise me on investment matters? Always remember, sales people are paid on commission and will do anything to misadvise you in order to sign. It is best to find an advisor with a financial management background to take you through the various portfolio options. Is it safe to put all my eggs in one basket? No. To spread risk, invest in an array of options. This way, a crash in one sector of the economy or an industry will not affect your whole nest. How should I handle the pressure? With everyone promising high returns when you invest in them, the pressure to move your money is always high. This should not be so, get a report on how your money will be invested and go through it while considering all options. If in doubt; desist from investing. Invest because you want to, not because you have to. * is the core business of the company easily understood? * is there consistency in the company’s performance when it comes to high returns in equity or capital? * can the company maintain or increase profitability by raising the price of its products? * what does the company sell? Can the brand or products endure competition in the long run? * has the company been buying back its shares responsibly? This is always a sign of growth. * does it have sound management and operate in its area of expertise? * in the last 5 years, have the earnings per share increased? * does the company always require huge capital injections every year to maintain profitability? * what is the long term debt and how does it affect its current position in the market? * has the managements retained earnings and re-invested them to increase shareholders earnings? Now that you have a breakdown on what you need to know before investing, here is an analysis of what our company, The Wealth Builder, offers. Whether you are planning on saving or investing, there are plans that cover you. Our clients achieve all their financial goals by getting tax efficient portfolios based on the level of risk they are willing to take. Expatriates get access to hedge funds, equities, bonds and alternative funds through our Wealth Builder Club. Each investor gets a tailor made portfolio to help them make decisions with ease and grow their investments.